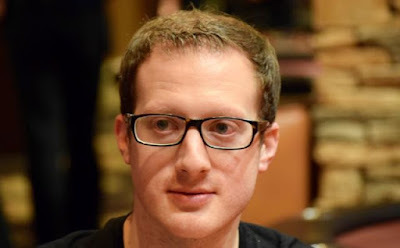 @3kingme3 - Mike Del Vecchio took the overall chiplead last night with 4 tables left in the WPT Rolling Thunder Main Event, and but for a very few hands he maintained that chiplead through to the end. Del Vecchio is the 2017 Rolling Thunder Main Event Champ, earning $284,638 for the win. This includes a $15,000 entry in to the WPT Tournament of Champions at the end of the season. 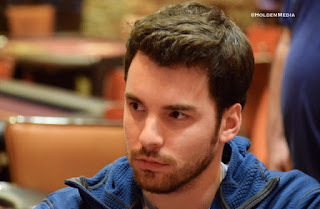 Del Vecchio navigated a final table that included four other pro's - Sorel Mizzi, Steven Tabb, Connor Drinan and Olivier Busquet - along with amateur player John Hadley who won his way in via a Livemore Caasino freeroll. 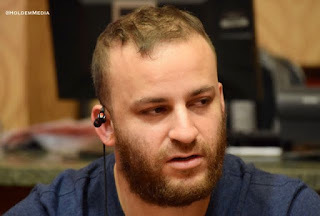 At the end, it was Del Vecchio's trip 4's holding up against the open-ended straight flush draw of Mizzi on the final hand of the tournament. Here is the overall results from the event. A snap-call all in on the turn to the all-in from Mike Del Vecchio, Sorel Mizzi is holding an open-ended straight flush draw against trip 4's. Mizzi needs help on the river to keep his heads-up match going against Del Vecchio. Steven Tabb doubled once through Mike Del Vecchio and tried a second time, but Del Vecchio holds A8>KQ and Tabb is out in 3rd place, a $122,296 cash. 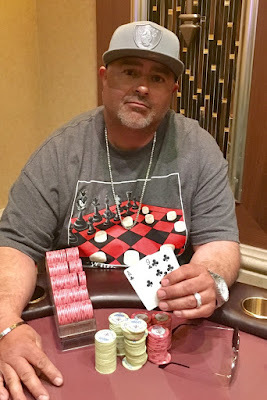 John Hadley won a @WPT Main Event seat through a freeroll at his local Livermore Casino in the Bay Area. He turned that in to a three-day run and a third-place finish for a $81,930 cash. 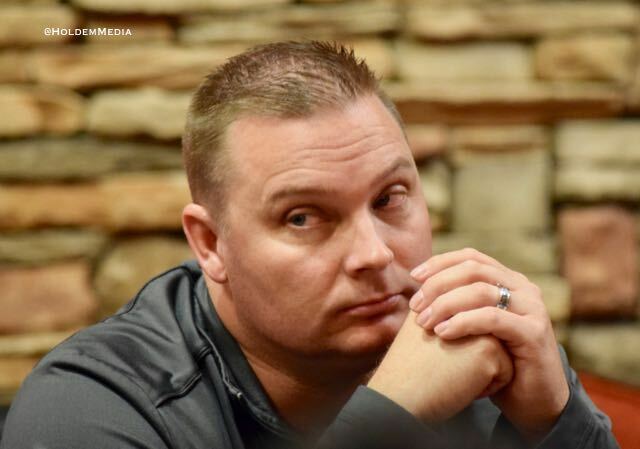 "This was awesome, what a great event," Hadley said to Ben Erwin, @TVPokerRoom Director of Operations, a few minutes after his final table appearance ended. "I was encouraged by all the great staff at Thunder Valley, the people around talking with me about what to expect and I got a little advice on how to play certain people." Hadley build a solid stack early in his opening day's play, slipping back to 54,000 by the end of Day 1. 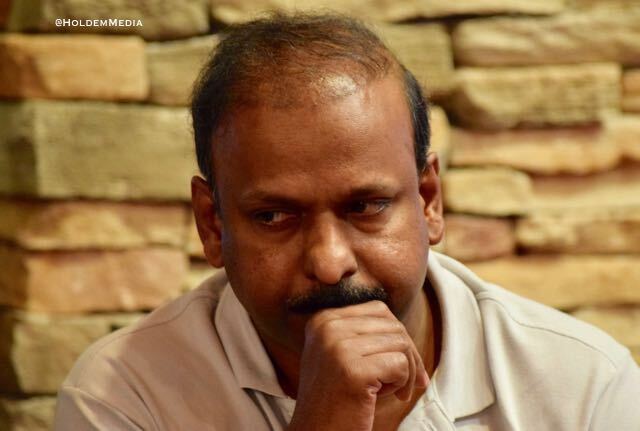 He moved that stack up more than 9x as Day 2 progressed, bagging more than 470,000 and the 4th biggest stack of the 53 who came back for Day 3. Making the 6-handed final table last night, though, left Hadley a bit distracted as well as happy. "I drove home last night after play ended, got lost a little bit on the way there, and ended up only being able to sleep about four hours," Hadley said to Erwin. "I was thinking .. about today." 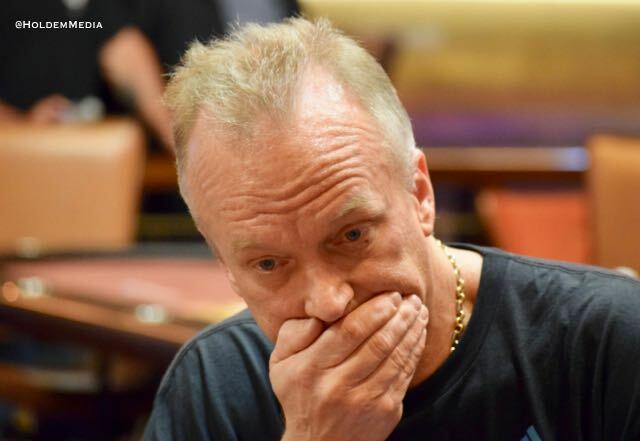 Hadley's last hand was a preflop four-bet all-in with AQ. Mike Del Vecchio snap-called with 66, a hand that Hadley went 1-for-3 with throughout the final table. Hadley ran 66 in to AA twice in the first few orbits of the day, then he doubled-up with 66 later on. This time, there was a 6 on the river to give Del Vecchio a set, marking the conclusion of the WPT for Hadley. "I was happy I survived. This was a tough field and I went in hoping to play the best I could." All in preflop for his last, Olivier Busquet is called by the new chipleader, Steven Tabb. As the 5-handed shortstack, Busquet moved in with and Tabb called from the BB with . The gives Busquet a pair, but Tabb has the flush draw, and he rivers the to score the knockout and extend his chiplead. Twice in the first two orbits, John Hadley found himself with 66 and each time he ran in to AA. He folded preflop once and he lost a hand once that played down to the river. 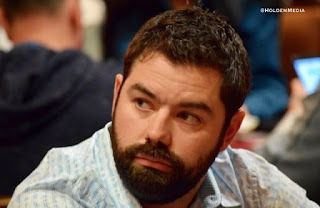 Olivier Busquet moves all in preflop, Connor Drinan goes over-the-top all-in and John Hadley snap-calls to put both players at risk, with Busquet the shortest stack. and Hadley picks up 100k in chips total via winning the side pot against Drinan. 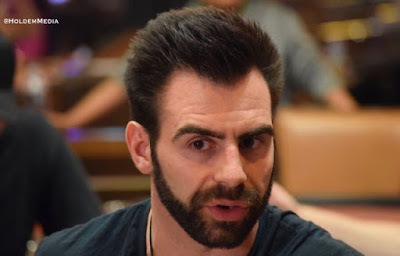 Connor Drinan opens, John Hadley 3-bets, Drinan 4-bets all-in and Hadley (above) undershoves for his Final Table life. 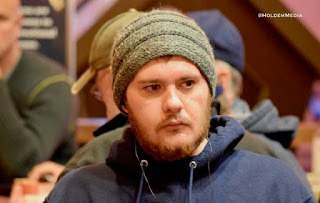 There's an Ace on the flop, no Ten come on the flop, turn or river and Hadley doubles through Drinan to move to about 2.5 million, with Drinan sliding to 1 million. What Are the Final 6 Playing For? @WPT Rolling Thunder $3500 Main Event is at the final table, with Las Vegaas-based poker pro Mike Del Vecchio (above) atop the leaderboard. LiveStream starts about 1230pm at twitch.tv/worldpokertour. Here are the remaining payouts for the final 6, with first place including a $15,000 WPT Tournament of Champions entry. 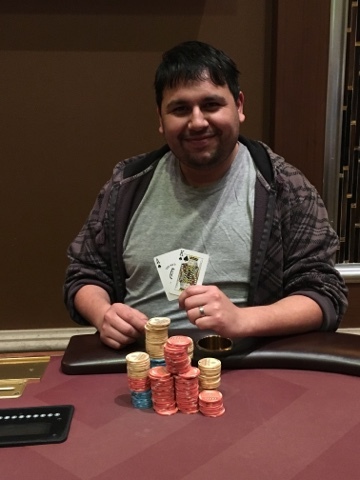 The final WPT Rolling Thunder series tournament goes to Frank The Bank Loera, winner of the $550 Action8. Here are the full results from the tournament that wrapped up early this morning. 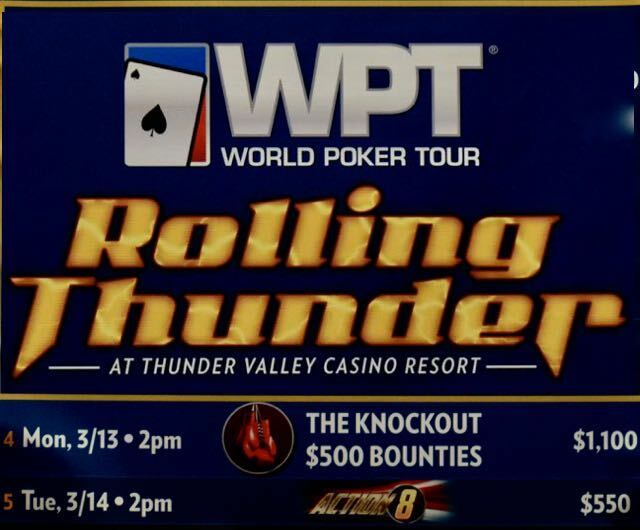 Tomorrow at twitch.tv/worldpokertour is the LiveStream final table of the WPT Rolling Thunder Main Event. Cards go in the air at noon, with LiveStream on a 30-minute delay starting at 1230pm. 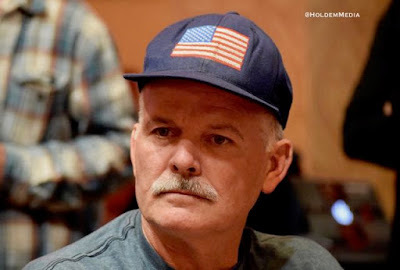 Here are your final 6 players, in seat position order, with chipcounts, starting with Livermore Casino's John Hadley in the 1 seat with 2,978,000. Hadley is in this on a freeroll. The final 6 is set as Ankush Mandivia bubbles the final table, knocked out by Sorel Mizzi, cashing for $43,829. We'll have the final 6 with chipcoutns in a few moments. A day-long roller-coaster comes to an end for WPT Champions Club member Pat Lyons, all in for 508,000 with A8 against the TT of former WSOP Circuit Foxwoods main event champ Steven Tabb, who has 514,000. Redraw for the final 7 seats now. Former WSOP Circuit Lake Tahoe champ Dan Harmetz is out in 9th place ($27,177), Pat Lyons moves to Table 2 and 4-max play takes over for a bit. Players move to a single 7-handed table with the next elimination. 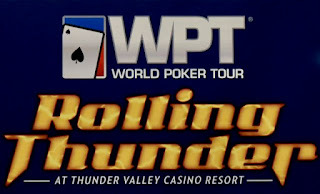 @WPT Rolling Thunder $3500 Main Event is down to 9 players, but not down to the final table. This is a WPT, 6-handed play starts at 36 players, and stays 6-max 'til the end. The 'unofficial,' final table is once we're down to 7 tonight, and play ends when the LiveStream 6 is reached. Here are the payouts for 10-15th place. David @DVal17 Lopez flops bottom two on a J-9-T flop, but John Hadley (above) is holding KQ for the straight. No 9 or Ten comes on the turn or river, Hadley has Valdez covered and 'Beast,' is out in 10th, cashing for $22,914. Hadley - who freerolled way to the WPT Rolling Thunder $3500 Main Event from the Bay Area's Livermore Casino - is up to 2.4 million. 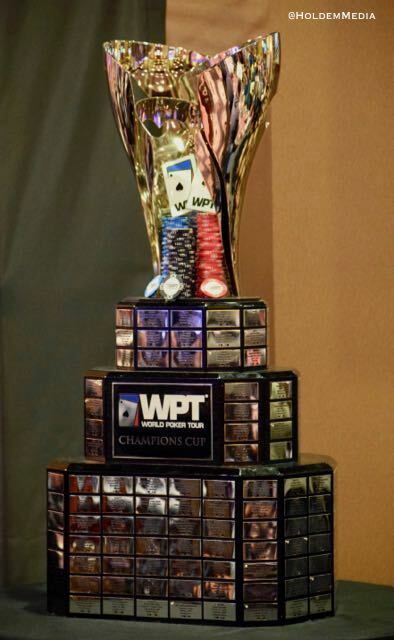 Who puts their name of @WPT Champions Cup for the first (or second, in the case of Pat Lyons or Olivier Busquet) time? 11 remain, playing tonight until down to the final 6, with tomorrow's LiveStream beginning at 1230pm on twitch.tv/worldpokertour. Tony Dunst and TVPokerRoom Ambassador Tyler Patterson on the commentary. We'll have no-spoilers-updates here on the blog. Pat Lyons leads 12 players off to dinner for an hour in the WPT Main Event. We'll be back in an hour with more. Check out WPT Live Updates for dinner break chipcounts and more. Registration has closed on @WPT $550 Action8, the final event in the 2017 Rolling Thunder series. The board shows 129 entries, with $19,993 FTW. That's David Beast Valdez, the defending Action8 champ, in the photo. he can't defend his title because he's made the final two tables in the $1,347,200 prize pool WPT Main Event. The @WPT Main Event mincash today was 2x the biggest listed cash in John Hadley's poker career. He's blown through that mark and has more than doubled his total career earnings with the next player to be eliminated. Hadley is among the final 12 here in the Main Event, the next payout is $22,914 to the next 3 out. His career earnings sit at a little more than $10,000 ... well make that they WERE at $10k. First place in the Rolling Thunder Main Event is $284,638 - including a $15,000 WPT Tournament of Champions entry. 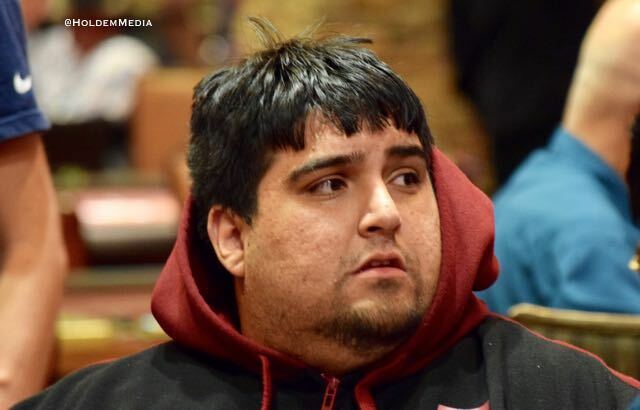 @DVal17, David 'Beast,' Valdez, has been on a 6-month-long poker heater. 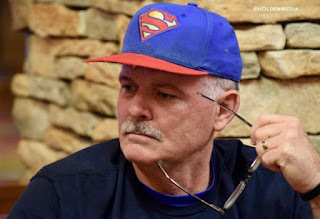 He made the final 3 tables in the $2500 HPT Season Championships here last October, followed it up with a 5th here at the $550 Ante Up NorCal Classic in November, won the $250 Action8 opening event for the WPT California Swing Kickoff series in January, took down the Monster Stack down the road at Stones last month and down is among the final 13 in the $2500 WPT Rolling Thunder Main Event. 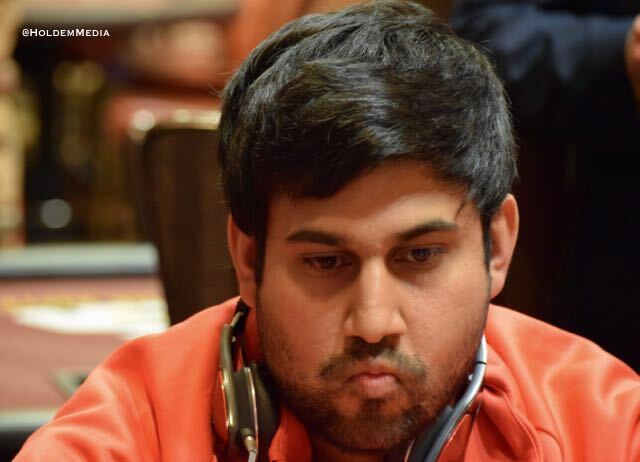 Valdez was a dealer at the 2016 WSOP - he may very well be a player this year. 15 remain in the WPT Main Event, playing down to the final 6. There's a dinner break scheduled for the end of this level (6:35pm). 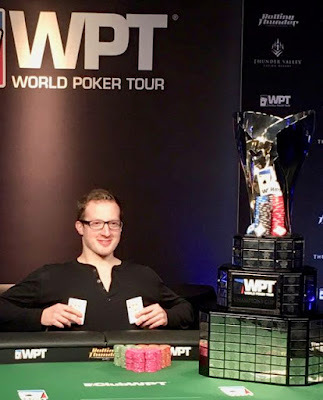 The final 6 is LiveStreamed tomorrow with play beginning at noon and the LiveStream (30-minute delay) starting at 12:30pm on twitch.tv/worldpokertour and simulcast on this blog. Here are the players who cashed in 16-26th place today. @WPT Main Event is at 20 players, Pat Lyons opens for 34,000 and Charlie Carrell makes it 137,000. Lyons leans back, laughs, and moves all in, saying he has not looked at his hand .. and everyone at the table confirms. Lyons is all in dark and has Carrell covered. Carrell makes the call with AJ and Lyons shows 87. The flop is 5-3-2, no help, but the 6 turn and Lyons is open-ended. River 8 ... Lyons pairs up ... Carrell is out in 20th place, for $13,056. Almost $60,000 in @WPT cashes this week for Mimi Luu as she took second in the opening $250,000 guarantee and added a 32nd place finish in the main event. Here are the payouts 27-36th place. 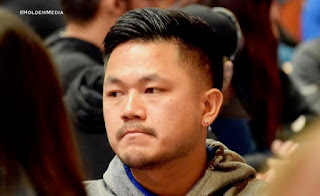 Chuck Nguyen was crushing @WPT Main Event on the money bubble, nearly doubling his stack as he and Niall Farrell battled through the 27-hand bubble. Nguyen took down a number of big pots and became the first player to 1,000,000 chips. Then Pat Lyons came to his table. 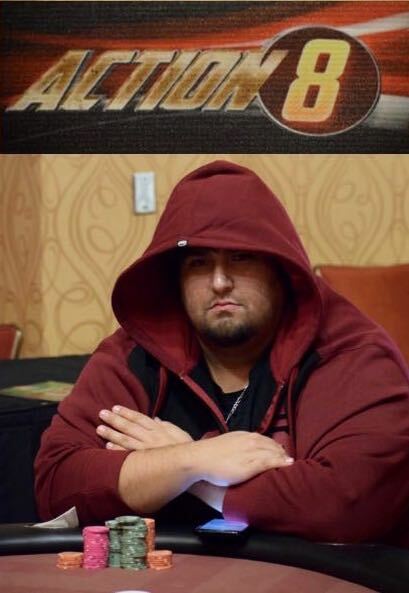 "World Famous Pat Lyons," who backed up his moniker by taking down the Arizona State Championships and turning around a month later to earn his first WPT title with the Legends of Poker victory - chipped away at Nguyen, doubled through him, took more big pots and soon it was Nguyen heading to the rail in 27th place. Lyons, meanwhile, not just surpassed the MillyMark, he's all the way up to 1,835,000 and a big chiplead with 24 remaining. 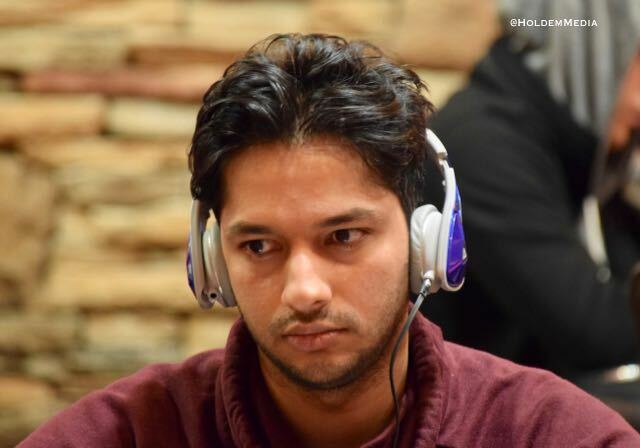 2016 @WPT Rolling Thunder runner-up Moshin Charania calls off his 300,000 stack from the button to a push from Tom Sego. Charania has AK, ahead of Sego's AQ until there's a Queen in the window, and Charania starts to push his chips. The river, however, is a King and Charania is up to 50BB. Sego slips to 15BB. 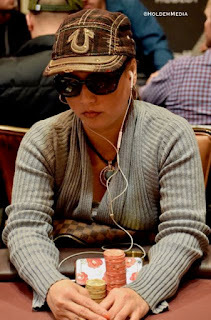 Back-to-Back @WPT Main Event cashes for San Jose's Tuan Mai. Here are the mincashes from the 2017 Rolling Thunder Main Event. @WPT $550 Action8, the final Rolling Thunder series tournament, is in to the second level of play and the board shows 52 entries. 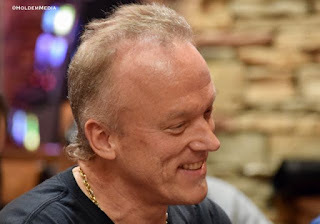 Among those already here is Lon McEachern, TVPokerRoom Ambassador Tyler Patterson (above), Kevin O'Donnell, Kelly Douglas, Jae Pak, Toan Nguyen, Sean Drake, Kyle Kitagawa, Lynda Hernandez, Joe Nguyen, Babe Prescott, Lay Saekee, Cy Williams, Al Sanchez, Phil Phongsaiphonh, Kao Saechao, David Olson, Gary Pisarek, Chris Hinchcliffe, Rian Mullins, Nabil Z, Mike Harvey and Brandon Boatman. 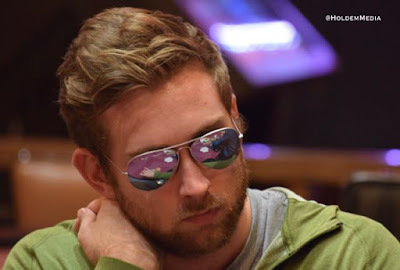 Ricky Vance has had little to talk about during the WPT Rolling Thunder Main Event - not because he was doing poorly, but because his jaw is broken and wired shut. Maybe this is a new trend in poker ... stay quiet and make the money. Then again, Pat Lyons and Mimi Luu also made the money, so there's the opposite end of the spectrum! @MimiLuu2000 moved all in on the money bubble and drew a call. Tom Riley also moved in and was called. Luu held, Riley was knocked out and the happiest player in the field had to be Mike Lancaster from San Francisco. Lancaster was down to his last two 1k yellow chips for antes. He's turned those chips in to the first cash of the day as he moves in the very next hand, flops top pair but falls to an overpair, earning a $5,862 cash. Shawn Roberts parlayed a $90 Thunder Valley Step Satellite in to a $385 multi-table satellite, then in to a WPT Rolling Thunder Main Event seat - and he just made the money here, guaranteeing the biggest pay jump of any of the remaining 53 players. Roberts is now looking towards steps up the pay ladder to Wednesday's final table and the $284,638 up top. He's already guaranteed $5,772 more than he spent to play. Roberts has more than $140k in career earnings and a WSOP Circuit ring on his resume. 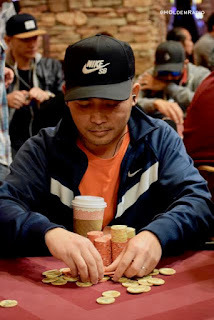 Mimi Luu picked up Aces the first hand back from break, doubled through the AK of Paul Saso, but it was Tom Riley who was knocked out on the bubble. The final @WPT Rolling Thunder series tournament is now underway. The $550 Action8 - featuring 8-handed play, antes from the very first hand, unlimited re-entries, 40-minute levels and registration open to 6:25pm. 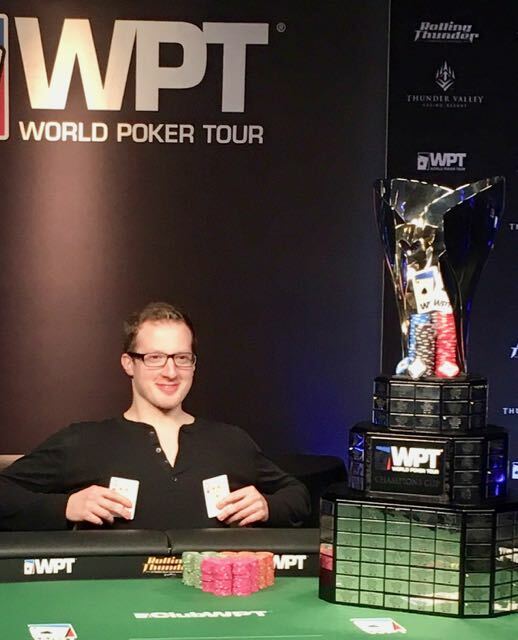 @WPT Main Event made the money bubble in just 9 minutes of Day 3 play. The next 1 hour, 51 minutes produced just 3 all-ins-and-calls, and the short stack held each time. 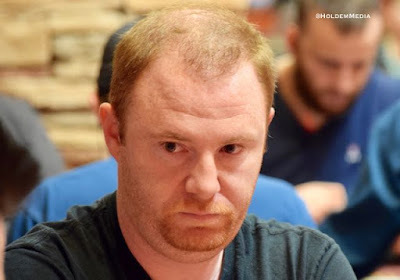 Other than onetime-chipleader Niall Farrell, players have been moving at a pretty decent pace. Even with Farrell's pretty-slow play each hand - and he's playing almost every hand - there's been at least 25 bubble-hands played. Chuck Nguyen (above) just took a 300k pot from Farrell and now is the first player to a milly in chips.